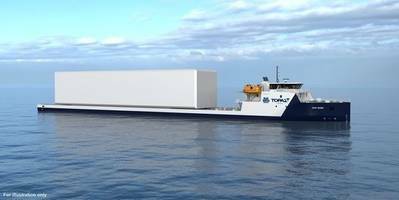 PALFINGER MARINE Winches and Offshore Equipment has signed a contract for the supply of complete winch packages to 15 Module Carrier Vessels being built for Topaz Energy and Marine. The vessels, of VARD 9 21 design, are developed by Vard Design to navigate the shallow river systems as they transport modules through the Russian waterways to oilfields in Kazakhstan. Measuring 123 by 16.5 meters, the vessels are designed to carry high deck loads of up to 1,800 tons. he vessels will be operated by Topaz through a consortium led by Blue Water Shipping for the end-client Tengizchevroil. 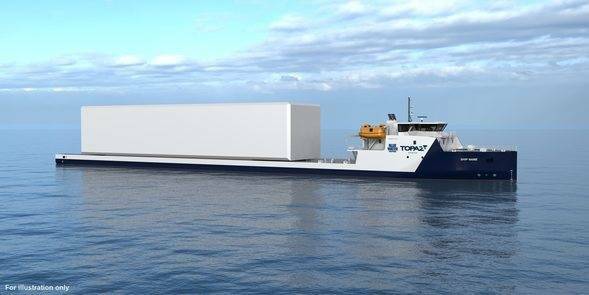 Five of the vessels will be built at Vard Braila and four at Vard Tulcea in Romania, while the remaining six will be built at Vard Vung Tau in Vietnam. Each vessel will be equipped with both electric and hydraulic driven winches inclusive frequency converters and HPU’s. The winch package has been designed in close co-operation with VARD Group and once again proves PALFINGER MARINE’s capability to offer tailor-made deck equipment to special purpose vessel designs. Delivery of the equipment is scheduled between January and November 2017.